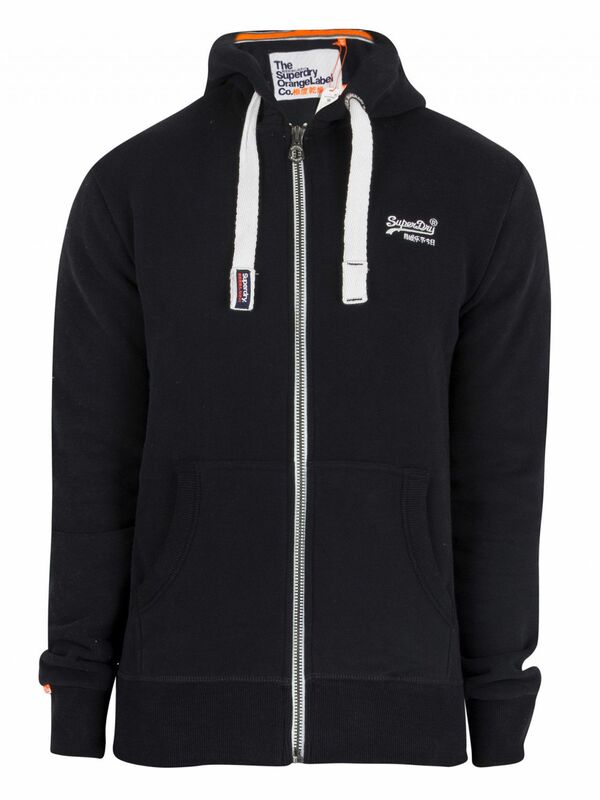 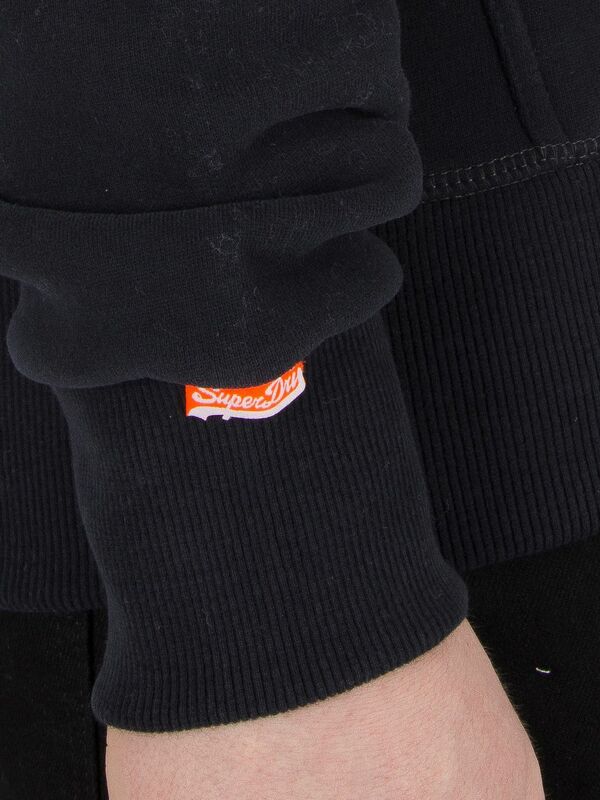 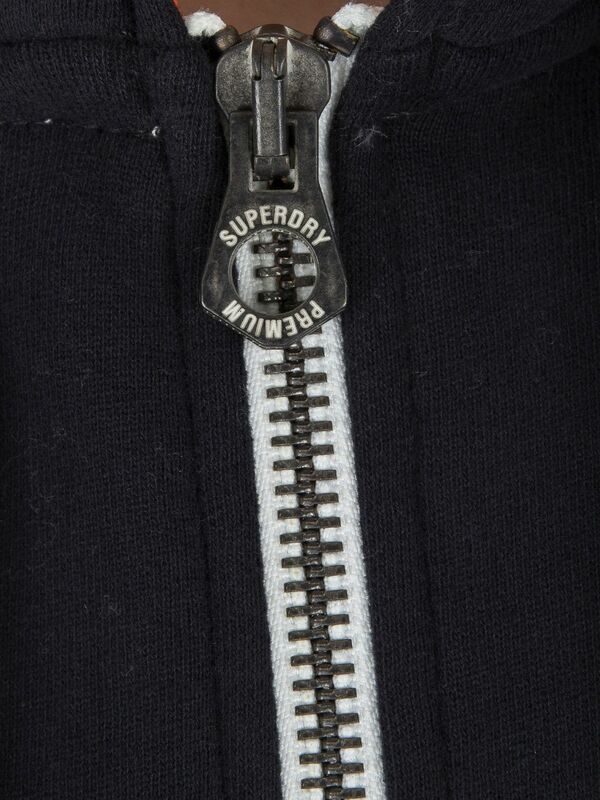 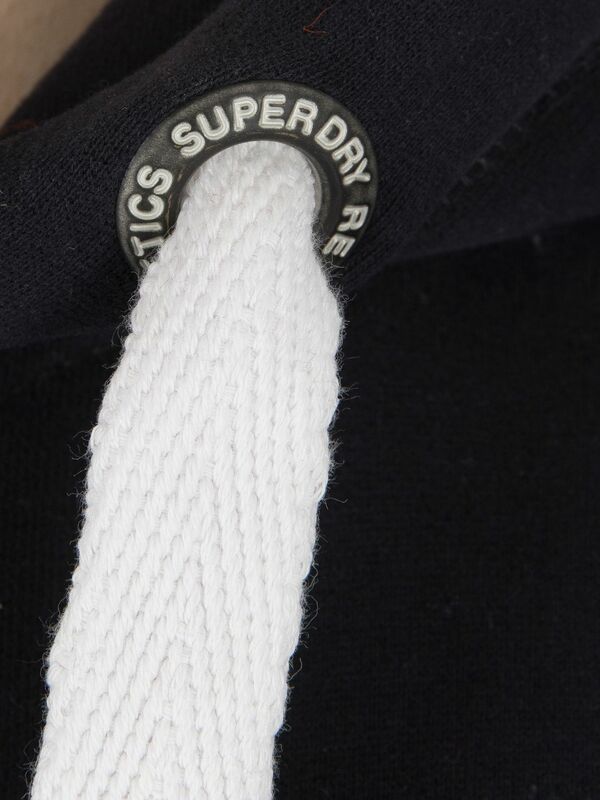 The Orange Label Logo Zip Hoodie by Superdry feature an adjustable hood with drawstrings. 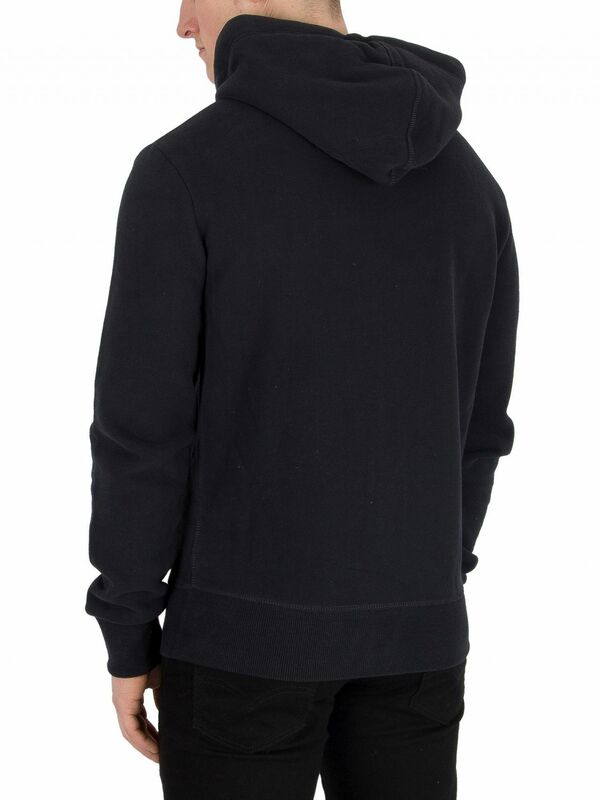 With full-sleeved hoodie, this hoodie also sports elasticated cuffs and curved hemline, and two slide-in pockets at the front. 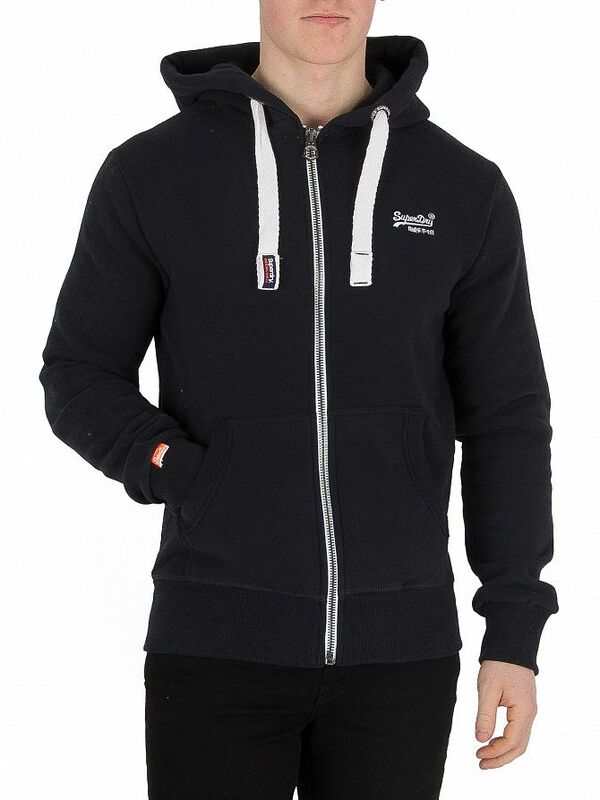 This hoodie sports front zip closure, branding to the left chest, right sleeve and on the drawstring. 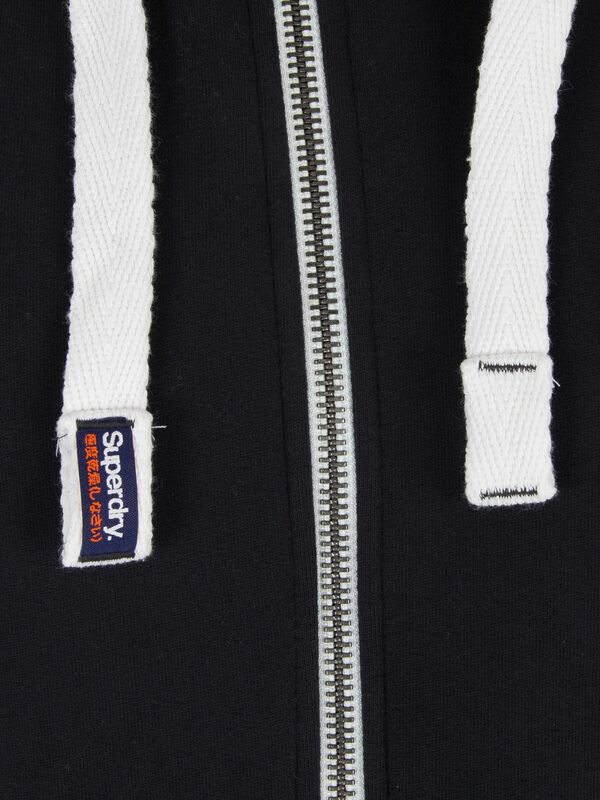 This Orange Label hoodie comes in Eclipse Navy colour. 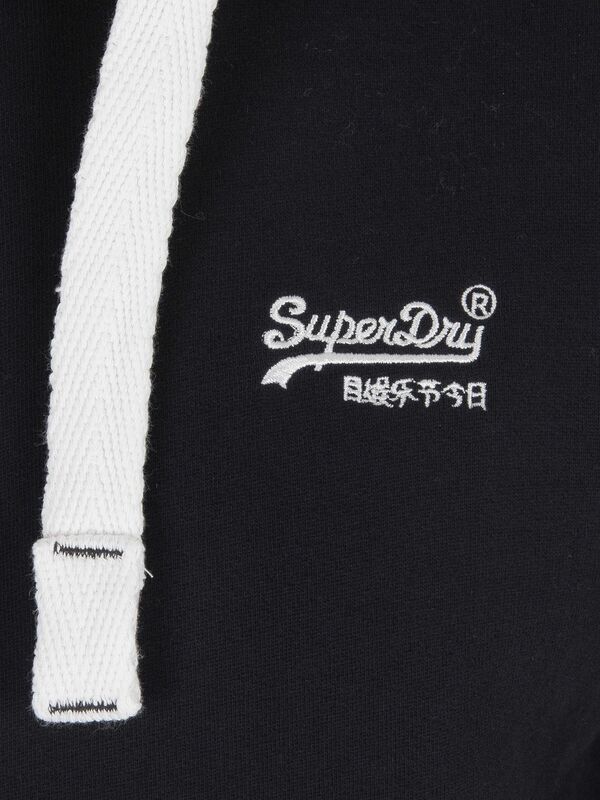 View similar Superdry or similar Hoodies.